Knowledgeable Compliance Officers are aware that simply layering in compliance documents that address the seven standard elements of an effective compliance program does not necessarily mean that the compliance program is effective. If there is only a shell structure of a compliance program that has not been properly implemented, the program may lack functionality and could be viewed as a “sham program” by government authorities. To avoid this, Compliance Officers should aim to evidence compliance program effectiveness with outcome metrics. One of the easiest and least costly methods for obtaining such metrics is through a compliance culture survey that focuses on employee beliefs, attitudes, and perceptions concerning compliance. This kind of survey is useful in measuring the extent to which individuals, coworkers, supervisors, and leaders demonstrate their commitment to compliance. Regulatory bodies have long advocated using surveys to measure compliance culture. In fact, the U.S. Sentencing Commission mentions in its Federal Sentencing Guidelines that businesses must, “promote an organizational culture that encourages ethical conduct and a commitment to compliance with the law.” By conducting compliance culture surveys, organizations can ensure that they understand the current compliance culture and any related strengths or areas for improvements. Culture surveys normally focus on the beliefs and values that guide the thinking and behavior of an organization’s workforce. These types of surveys can measure the outcomes, or the “impact,” of compliance program activities, and can be extremely useful tools for assessing the current state of the compliance climate or culture of an organization. They also provide insight on how effective the compliance program has been in changing and improving the organization’s compliance with federal and state rules and regulations. Compliance culture surveys help identify potential gaps in the compliance culture, and assist in determining whether the compliance program and employee attitudes and perceptions are truly aligned. These surveys can be considered an audit of employees’ acceptance of guidance provided in the organization’s Code of Conduct and policies, and indicate employee perceptions regarding the day-to-day behavior of management. They are usually presented in a Likert Scale format that includes a series of answers wherein respondents are asked whether they “Strongly Disagree,” “Disagree,” are “Neutral,” “Agree,” or “Strongly Agree,” with the statement presented in each item. A sixth option, “Don’t Know,” may be offered to respondents who feel that they lack the knowledge needed to answer the question. To fully appreciate the value of the results from a compliance culture survey, it is a best practice to have survey responses evaluated, analyzed, and benchmarked against a large universe of organizations that have used the exact same survey questions. The results from a survey report should provide enormous value in identifying organization strengths as well as opportunities for improvement. This can help ensure the organization is on a track for establishing and maintaining a high-quality organizational compliance culture. An increasing number of organizations are utilizing culture surveys to obtain quantifiable data on employee attitudes and perceptions in order to benchmark and monitor progress against their own results (i.e., trending historical company survey data), as well as comparing their results to industry peers and national averages. Additionally, an increasing number of board directors, given their oversight duties and personal exposure, are requesting that their organizations conduct compliance culture surveys to gain a better understanding of the overall culture of compliance. Organizations should be aware that employees may not answer survey questions honestly if they suspect that the survey was developed internally and administered in house, which can undermine the reliability of results. To ensure reliability, validity, and credibility of survey results, the survey should be professionally developed, tested and validated by an external organization or vendor. 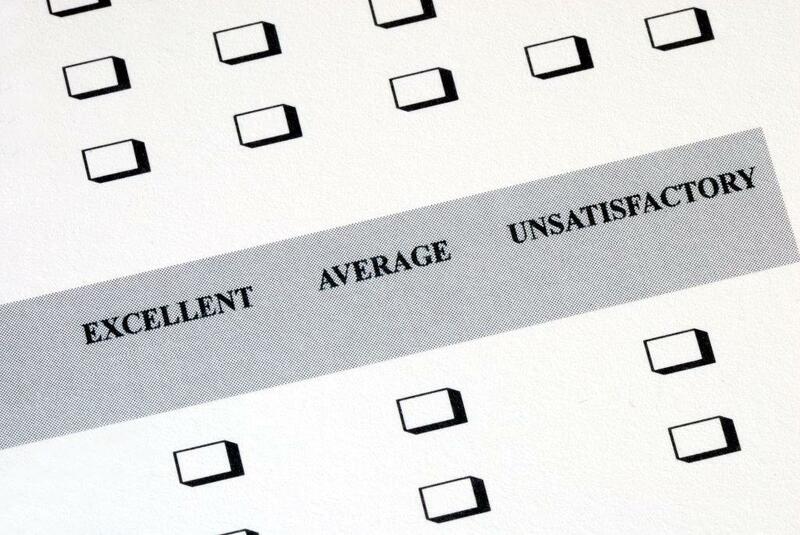 The surveys should also be independently administered in order to guarantee respondent anonymity. Any deviations from the best practice standards undermine the value of the results. A professionally and independently administered survey can provide credible evidence about the state of the compliance program, and can identify metrics of its effectiveness, relative strengths, and opportunities for improvement. Additionally, benchmarking survey results is essential to determine the effectiveness of any compliance program. By benchmarking results against a large universe of users and using an initial survey as a baseline against which future surveys are compared, organizations can ensure that the compliance program is on par with those in the industry while setting standards from which to progress in the future. Compliance surveys are useful in benchmarking and measuring change in the compliance environment over a period of time, and provide different dimensions and perspectives on a compliance program. Richard Kusserow authored 8 books and dozens of journal articles related to compliance programs. He is currently President and CEO of Strategic Management Services and Compliance Resource Center, who provide compliance advisory services and solutions to over 2,000 organizations and entities. Assisted by two PhD experts, he developed and has been using the “Compliance Benchmark Survey©” since 1993 to measure and benchmark compliance cultures in all industry sectors. Users are able to benchmark results against the hundreds of organizations that used it.